People's Park Complex Food Centre, located just above Chinatown MRT Station (NE4), is one of gems in Chinatown. 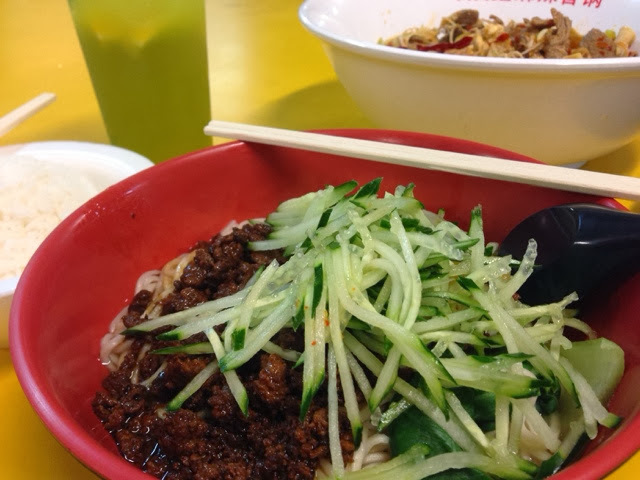 There are a lot of delicious food that you need to come back again and again for more. 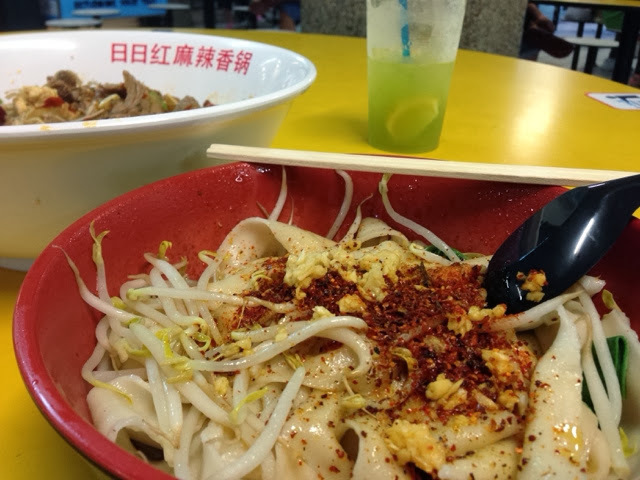 In recent years, the number of Chinese food stalls has mushroomed. 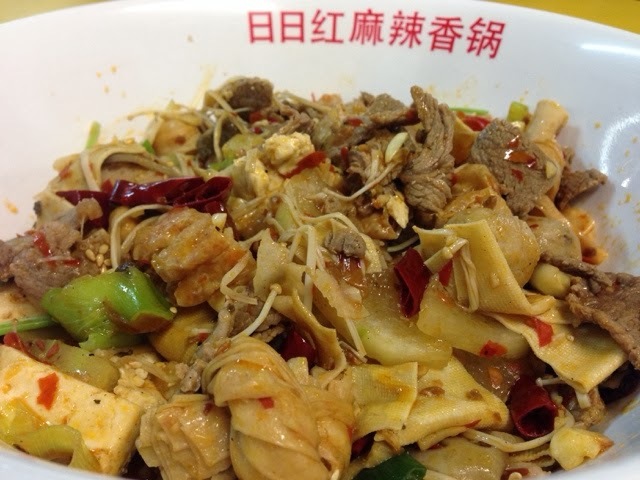 There are more local food from China like dan dan noodles, big plate chicken (大盘鸡), mala hot pot, etc. Here are some of the food stalls I ate. I will continue to update this page whenever I dine at food centre. 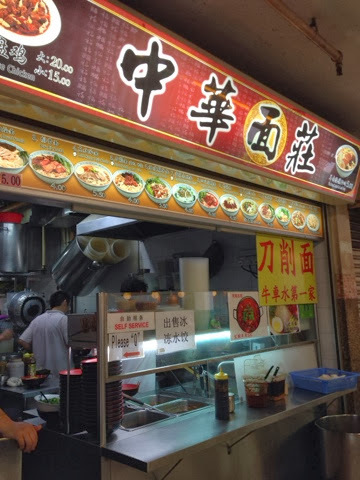 At Zhong Hua Mian Zhuang [中華面莊], it sells mainly noodles such as Big Plate Chicken, Beef Stew noodles, Zha Jiang Mian and many more. 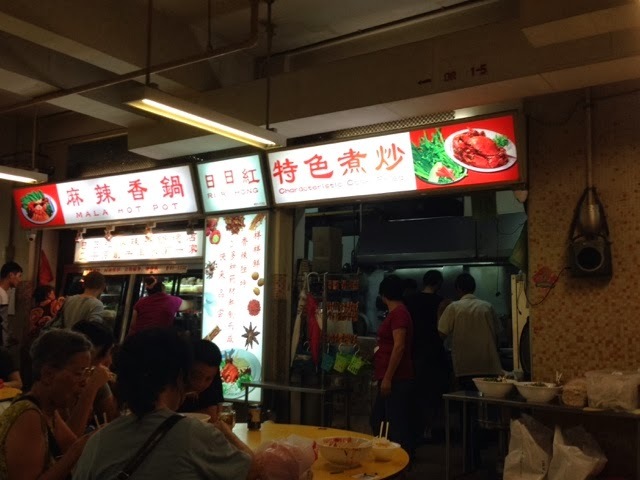 At the far end of the food centre, there is a very popular mala hot pot stall called Ri Ri Hong Mala Hot Pot [日日红麻辣 香锅 特色煮炒]. How do you order the food? Firstly, you choose the ingredients of your choice. Then, inform the staff the level of spiciness for your hot pot. Lastly, you will be given a queue number. Your number will be called when the food is ready for collection.